I offer nutrition coaching, meal plans, macronutrient calculations, check ins, full support, recipes and daily communication! 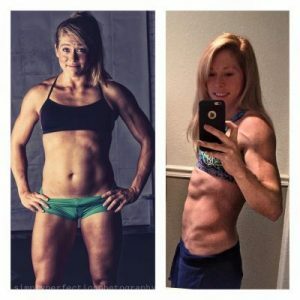 For my nutrition services I tailor to the individual and focus on intake (macronutrients), optimizing your body’s use of carbohydrates and protein before, during, and after your periods of exercise/activity, and reducing unnecessary caloric intake, as well as insuring proper caloric requirements are met. My goal is to optimize your diet so you can see results without deprivation. Your plan will evolve and change as your body does over the course of our time working together, so feedback from you is required. I will be available to you via text, phone, email; whatever you prefer, to help keep you on track, answer your questions, analyze your intake, and help you make adjustments as your day changes. My clients stay motivated with weekly check in requirements. Not only will you have the tools to accelerate fat loss, muscle gain, and improved performance, but a guide to insure you achieve the results you want. Want more information or to sign up? Email me at saraheileenpierce@gmail.com or use my contact form to shoot me a message!